I’m Günter Born, a freelance writer, living in Germany. I hold an engineering degree in physics and I have more than 3 decades working experience as an engineer. 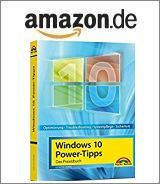 Since 1989 I’ve written more as 200 books about Windows, Office and other information technology topics. Most of my books are written in German, but there has been a few English titles like this, this, this, this and this. I’m also blogging here in German about IT themes (Windows, Android, iOS, Linux, Office etc.). Furthermore I’m active as a community moderator for German Microsoft Answers Forums, Wiki author and also Microsoft Most Valuable Professional (MVP) for 2013 – 2014. Within this blog I will be writing in English about selected topics covering Windows, Android, iOS and probably other tech themes. You can contact me via e-mail – but note, this is not a possibility to receive support for PC problems nor I will provide individual consulting. Also don’t contact me for link exchange questions or similar things. A disclaimer, and other legal questions may be found at this german Impressum page. The privacy statement may be found at this german page.